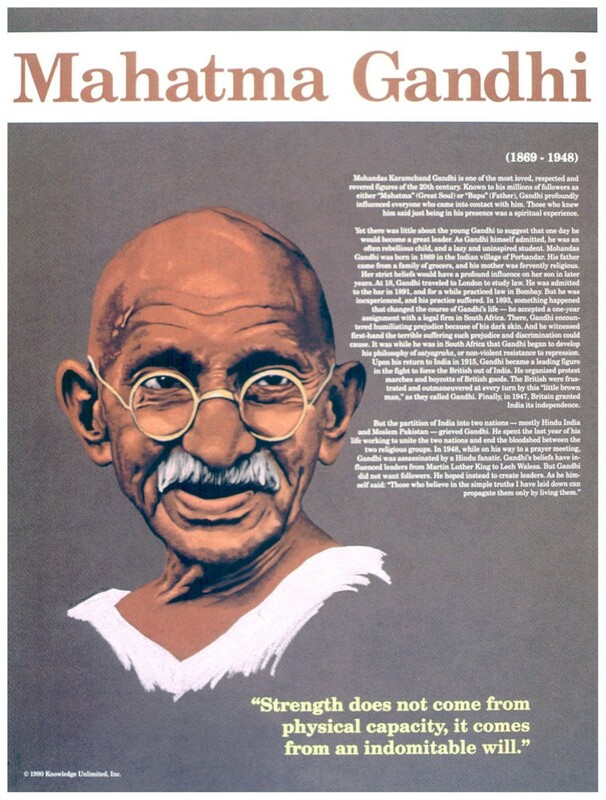 This educational poster features a striking image of Mahatma Gandhi, along with biographical text, and a quote from him saying: "Strength does not come from physical capacity, it comes from an indomitable will. Gandhi lived his words. His courageous fight for social justice in his own country eventually led to independence for his people. It also led to his tragic death. But his credo of non-violent resistance inspired other great leaders like Martin Luther King Jr. 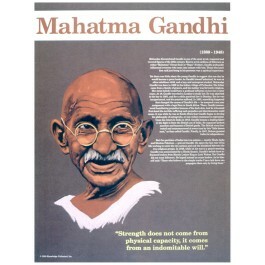 This poster offers a great way to introduce students to one of the most influential and inspiring people of the 20th century.